“The strength of field Pentir brought forward boosted the self esteem of both staff and school"
We provide flexible, personalised solutions for organisations seeking to respond to capacity challenges in an ever changing environment. Our work includes leading complex, high profile senior recruitment projects, headhunting for roles that are difficult to fill, providing high quality interim support to satisfy urgent need, coaching / team development and running assessment centres to support key appointments and organisational restructures. We do not believe in persuading clients to use specific services. Instead, we seek to understand the challenges faced by our clients and work in partnership to identify effective solutions. Our people are experts in their field, are abreast of the challenges our clients face and are committed to continuously updating their professional expertise. We have established a reputation for delivering high quality solutions and are proud to have developed our business through referral, recommendations and repeat work. Appointing high quality individuals has never been more important as organisations strive to continuously innovate and operate within ever changing environments. The need to secure the best people is essential to success and we recognise the importance of providing a personal service to both clients and candidates to achieve the best appointment. In the current climate, organisations, more than ever before, need confidence in the companies they choose to lead their recruitment. Candidates need the reassurance that they are not wasting their valuable time. Our service is provided by experienced people with extensive track records of appointing to senior roles across the public and private sectors. Our work is very much search and research led. We find it is vitally important to put significant effort into identifying and actively headhunting high quality people, rather than just relying on advertising. We provide a flexible service which complements any expertise/capacity clients might already have in-house. Clients can opt to use us to manage the complete recruitment process or particular parts. This flexibility and focusing resource in areas of greatest need, provides value for money. Our work is very much research led. We are well known for making successful appointments that last and add value. We offer a personal, rigorous and bespoke service to suit our client’s needs. We have substantial personal networks within Education and Local and Central Government and will not compromise on quality. We work tirelessly and in partnership with our clients from the moment we clarify the brief, employing desktop research, networking, social media and proactive “headhunting” to find the best candidate. We provide regular search updates throughout the process to build confidence. These offer insightful market feedback, information on salary and useful intelligence in relation to how an organisation and the role is perceived by prospective candidates. Often this feedback is used to inform the remainder of the process. It is key to overcoming barriers to appointment and allows us to offer alternative solutions, where necessary, to secure a successful outcome. The focus of many of our projects is on increasing organisational effectiveness. We understand the importance and the need to change cultures alongside behaviours in order to achieve more with less. The support we provide to increase effectiveness is varied and includes: one to one coaching addressing key areas within a defined period, team days and assessment centres as part of a restructuring processes. Given the expertise of our people, we are equipped to provide strategic advice on a range of areas. We can help organisations review their effectiveness, manage change and prepare for the future through horizon scanning. We have a particularly strong focus in the schools and academies sector but have expertise that can be used more broadly. Many clients require capacity to address short term needs or to fill critical staffing gaps when a permanent employee cannot be appointed quickly. Interim management gives clients instant access to a senior “heavy-weight” yet hands on manager, who comes with a proven track record, matched to the client’s needs. The use of an interim leader creates time to consider all the options when making a permanent appointment. Our service focuses on a targeted, search driven approach to identify a shortlist of candidates from our extensive network. The vast majority of them are known personally and therefore we are well aware of their strengths and ability to deliver. We also assist in agreeing terms and conditions and in managing performance, retaining contact with the client and interim throughout the duration of the contract. We are transparent about our approach so that all parties are aware of our contractual terms. We believe this is key in developing a valued relationship with the people we work with. Our people are experienced and of the highest quality. What binds us together as a team is our commitment to delivering for our clients. We are very proud of what we do and how we do it. Below are profiles of our key people. We also have a well established associate network who share our values and add to our capacity. 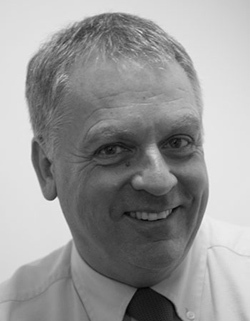 Noted for his interpersonal skills, contacts and extensive experience in executive recruitment and support in the public, private and voluntary sectors, Mike is among recruitment's most respected specialists. He began his career at BP working in the technology field. He joined Price Waterhouse and worked there for ten years initially in HR then transferred to their search and selection practice. The business grew rapidly and was then bought by Capita and rebranded Veredus. He led their London operation through this change then opened GatenbySanderson's office in London. In 2008, he set up Pentir to provide flexible, bespoke services to satisfy a particular need. The key for him is that Pentir is about helping organisations develop capacity - be it through strategic advice, coaching and development, recruiting, or filling roles on an interim basis. Mike has thoroughly enjoyed providing a personalised service within an evolving market, where the old ways are no longer effective and new approaches are needed. Tom began his working life as an engineer before moving into technical sales and export management. He was a school governor and it was this that led him to a career in education. Tom spent five years as a senior manager with the Northamptonshire Inspection and Advisory Service running the organisation’s administration, finance and personnel functions, as well as managing marketing and sales. Tom qualified as an NPQH assessor, and became an inspector for Ofsted - one of a handful of primary school inspectors for whom progress was through the lay route. He was the project manager for Peakschoolhaus Ltd, the education advice and inspection subsidiary owned by RM plc. Before that, he was a Project Manager for the very successful Learning Schools Programme in Northern Ireland and Scotland provided by RM and the Open University. 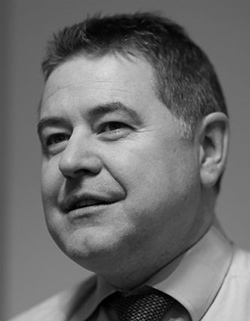 As an experienced relationship manager Tom has worked closely with the Teacher Training Agency, Open University, Learning and Teaching Scotland, HMIE in Scotland and the Education Technology Strategy Management Group in Northern Ireland. At Pentir, in addition to his recruitment role he has provided strategic advice and guidance to a number of major private sector organisations. He has also worked on educational projects for the Department of Children Schools and Families, the National College for School Leadership and Local Authorities. Recent activities include working with Academies to improve their employer engagement and to establish a strategy and structure to achieve sustainability. "I enjoy providing advice which enables clients to solve challenging people issues. Appointing to critical roles perceived to be difficult to fill gives me a real sense of pride and achievement." 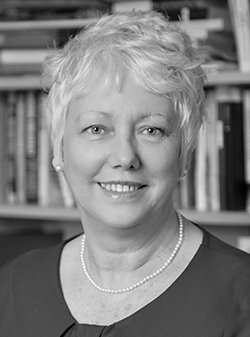 Maureen Nicholas joined Pentir in 2010 to strengthen our leadership team. Noted for her client management skills, high quality of delivery and her ability to build strong relationships, she has an impressive track record of clients who repeatedly come back to work with her. Since joining Pentir she has worked with Education, Local Government, Central Government and Voluntary Sector clients to deliver a range of recruitment, organisational development and assessment projects. Maureen has over 12 year’s human resources experience, which includes providing employee relations and employee resourcing advice to senior managers based across England and Wales, on complex and sensitive HR issues. She is also experienced in leading the implementation of HR projects. 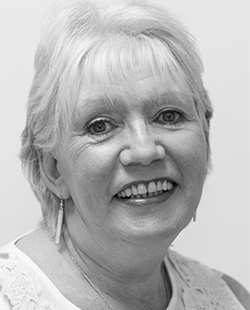 In addition Maureen has worked in executive recruitment since 2005, recruiting Directors and Assistant Directors / Heads of Services to senior roles across a range of service areas, predominately within Local Government. She is especially skilled at working with clients to make appointments for difficult to fill roles. Maureen is a member of the Chartered Institute of Personnel Development, and Institute of Career Guidance. She is level A and B British Psychological Society qualified and holds an MA in Personnel and Development and a Postgraduate Diploma in Career Counselling and Career Management. “I enjoy working as a true partner with clients to provide advice and solutions. Some are building long term success whereas others need fast, efficient and effective services to satisfy their needs. We have to be flexible, responsive and outcome focused. " 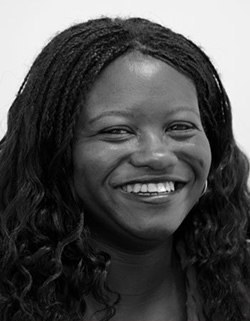 Anita is the newest member of our team and leads our research and interim functions. 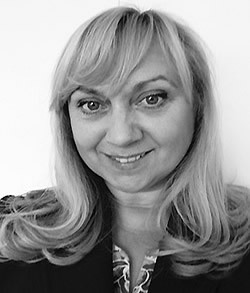 She has worked in the executive search field for 14 years – initially in finance, telecoms, construction and engineering both in the UK and Internationally at MRI Worldwide. She moved into public sector executive search in 2003 firstly with Tribal Executive Resourcing and in 2007 with GatenbySanderson. She has recruited to a wide range of positions up to Chief Executive and Board Level positions and a range of “difficult to fill” roles across Central and local government, the Not for Profit Sector and Higher and Further Education. More recently Anita has been recruiting Head Teachers, Principals and Vice Principal’s for Academies, Schools and Federations both interim and permanently. Kathy has an exceptional track record of senior leadership in education. Her experience of headship is complemented by her work as a Director of Education in two local authorities and a period as a Senior Education Adviser at the Standards and Effectiveness Unit. Kathy was appointed Principal at one of the first 13 academies - Manchester Academy in Moss Side. Its performance was transformed and it was consistently judged an outstanding school under her leadership. She was appointed a National Leader of Education and then went on to become Deputy Chief Executive and Acting Chief Executive at United Learning. Kathy received the DBE in the 2014 New Year's Honours List for services to education. Maggi’s career commenced in Glasgow when she was employed as an Audit Clerkess with Thomson McLintock & Co – Chartered Accountants. At the age of 21 she moved to England where she was PA to the Regional Director of a telephone answering machine company. After raising a family, Maggi returned to work in the late 80’s as a part time secretary with Lloyds Bank PLC and within 18 months, was working full time as Head of Customer Services. In 1997, Maggi joined PricewaterhouseCoopers’s executive search and selection team as PA to one of the senior partners. Between 2000 and 2008, her career was split between working for the Business Link organisation as a Project Manager and in executive recruitment with GatenbySanderson. Maggi has supported Pentir Talent Solutions since October 2008 as Head of Support and PA to Mike Phillips. In addition to this, her main areas of responsibility include general administration, finance and accounts, invoicing and credit control, interim management and PA support to all the directors. We have a track record of headhunting high quality people and supporting high profile appointments. The following provides context and feedback on some of our recent work. Pentir have been working with the Brit School for over two years. Our first role was to secure a high quality candidate to replace Nick Williams, the outgoing Principal – a very difficult act to follow. This involved pulling together a cohesive brief from consultation sessions with BRIT Governors and Trustees, Senior Management, middle leaders and the School Council. Following the successful appointment of Stuart Worden, we worked on the transition to a new Principal and culture and have provided expertise in key areas to improve attainment levels. With his collaborative approach to leadership, the new Principal has looked to empower those around him having developed a collective understanding of purpose for the organisation, allowing creativity, innovation and encouraging individual ownership for development. At middle leadership level, we have sought to increase self-awareness and recognition of individuals' natural leadership styles, personal strengths and areas for development. We have provided strategic advice alongside targeted support in key areas including, use of data, SEN, and review of science. The Brooke Weston Trust operates five primary schools that are diverse in character and context, ranging from a small successful village school to a large urban school incorporating a large special needs unit and a school with a high proportion of pupils with English as an additional language. This, coupled with their intention to grow the number of primary academies carefully over time whilst providing high quality support where it is needed, created a need for someone at the center of the Trust to work closely with the existing Principals to plan for and deliver higher standards in provision, practices and outcomes. The Trust made an initial attempt to conduct the process themselves but realised it was a specialist role that would benefit from specialist recruitment support. As a result Pentir was selected to work with the Brooke Weston Trust to recruit a Director of Primary Provision. This post would report directly to the CEO and would play a pivotal role in the future development and further growth of primary schools in the Trust. With tight timelines in place, Pentir put a search programme together to identify suitable and interested candidates, interview them and then provide a short list to go forward to final assessment. The final assessment was over one day and involved practical and written exercises as well as interviews with existing Principals and Trust personnel. The outcome was a successful appointment to the post. "A lesson learned when recruiting to a specialist leadership role is to talk to Pentir from the beginning." The College of West Anglia is one of the largest Colleges in the Eastern region with over 900 full time and part time staff and a student cohort of over 10,000. It serves a mainly rural catchment area covering Norfolk, Cambridgeshire and south Lincolnshire. The main campus is in King’s Lynn – a historic market town but not an easy location to recruit those with the relevant skills. Our approach therefore involved headhunting and advertising. We sought to assess the best within the FE market with others from outside of the sector that had led large complex financial projects and were capable of applying their skills in this context. Our assessment process was designed to involve a broad range of stakeholders and ended with a presentation and interview with the Board. The end result was a strong shortlist of candidates with the relevant skills and experience to operate at this level within further education and a successful appointment first time. Pentir were contacted by Highbury Grove School to support the appointment of a new Headteacher. This was a high profile role given the nature of the school. It had been rated as outstanding by Ofsted on two separate occasions and had a strong reputation for performing arts and music through its links with the Music in Secondary Schools Trust and the National Youth Orchestra of Great Britain. Pentir were involved in helping to shape the strategy for the appointment process. Given the complex nature of the appointment, briefing meetings were held with Governors, local authority advisors, the outgoing Headteacher, the leadership team, students, staff and parents. Such a process built confidence within the stakeholder community. The combination of search and advertising attracted a very high quality shortlist from outstanding schools in the state and independent sectors. The assessment process was also inclusive with staff, governors, leadership team, local authority, lead partners and parents all playing a role. The result was the appointment of Tom Sherrington from King Edward Grammar School in Chelmsford; a great fit with the needs or the school and the role in general. After failing to secure a high quality school leader themselves 12 months earlier, we were engaged by this high profile local authority school to assist with the appointment of a new Headteacher to lead the school following the scheduled departure of the Interim Executive Headteacher. Our brief was simple but challenging: “to find an exceptional Principal with the capacity to lead the organisation forward through a period of significant improvement in standards to one where it would be deemed to be an outstanding place for students to learn”. Our headhunting work, combined with targeted advertisement was used to generate a field of candidates. We conducted searching preliminary interviews and presented our recommendations to the Governors in detailed reports. From these, they chose to invite six high quality candidates to an assessment centre at the school. The reports gave the Governors confidence that they had high quality candidates, so they focused on fit. The candidates had an opportunity to meet students, staff, middle and senior leaders as well as the Governors during the assessment centre. Subsequently, the Governors invited four candidates for final interview and a successful appointment made. “I only have unreservedly good comments about the appointment process. In addition, to securing a high quality shortlist, I was particularly impressed with the success of the Assessment Centre. It was good to have a wide range of individuals involved in the process and their views being valued. We couldn’t have done it anywhere near so well without the help of Pentir. Even without the success of the appointment, the strength of field Pentir brought forward boosted the self esteem of both staff and school." We have supported organisations as they look to change culture, behaviours and improve organisational effectiveness. The following gives some detail of our involvement. The Council carried out extensive restructuring of housing following the return of housing management services from the ALMO, People 1st. The restructuring covered 3 levels; head of service, managers and operational staff within the service. The extent of the changes meant that where there was no direct match or automatic right to assimilation, staff were invited to apply for posts in the new structure. As part of the selection process, individuals were required to demonstrate they met the relevant criteria and possessed the necessary competencies to carry out roles in the new structure at the appropriate level. Relevant staff were asked to attend an assessment centre which tested job-related competencies. The assessment results were one of the factors used to determine which staff were appointed. The assessment process therefore needed to be rigorous, fair and transparent. As a new concept for Slough, the process also required the signoff of the Trade Unions and by involving them during the design process, this proved to be relatively straight forward. Ultimately the feedback from both internal and external candidates was positive and they found the process fair and transparent. For those who were made redundant, they accepted the outcome without challenge. The client found the information from the assessment centre invaluable at the final interview stage for internal candidates and helpful in deciding which external candidates should be taken forward to the final stage of the process. As the client felt we had built up a strong rapport with individuals who had attended the assessment centres we were asked to work with the new team to help them determine how they will work together going forward. To deliver on this aspect of the project, the whole team completed individual personality questionnaires which resulted in a developmental report that provided information about their individual preferences in the work place plus the role/s they like to play in teams. This information was used to raise awareness as part of a ‘teambuilding’ day. In 2011, the IPCC created a framework of suppliers to deliver a range of specialist HR related services and we were selected to be one of the suppliers. Since working in partnership with the IPCC we have delivered a range of human resource solutions. Our work with the IPCC has covered a number of areas such as team days, to focus on how a newly formed team could structure their work to deliver success and supporting a high performing team to continue their success during a period of significant change. The feedback from the team day was positive and senior staff also felt the day had been good in shaping the teams thinking. Overall both team days were seen to be a real success. We have continued to provide a pivotal role in the assessment centres of operational staff recruited to undertake high profile investigations and where applicable, we have provided one-to-one coaching which staff have found beneficial in further enhancing their performance. In 2012 the Children and Young People’s service reviewed its management development programme for middle managers. For the first time, 360° feedback was introduced as part of the development programme. Managers were initially sceptical about the need to have feedback and raised concerns as to whether it would be used as in performance management assessment without their knowledge. As part of the preparation for this project, we allayed these fears by providing sample reports and having a Q&A session attended by around 60 managers in order that they could ask us directly how the process would work and the feedback used. The project ran from May to October and 40 managers received feedback. Whilst managers initially had reservations, the resulting comments were positive with a number of managers explaining they were grateful to have had the time to receive feedback, discuss their development needs and that they hoped this would now become a permanent feature of the development programme because of how beneficial they found the process. In 2011 the Council carried out an extensive organisational wide re-organisation in order to meet £85 million of budget reductions by 2014. The restructuring of housing services began with Housing Demand. The extent of the changes meant for a number of roles there was no direct match /automatic right to assimilation or that there were more members of staff than posts available. In these circumstances staff were invited to apply for posts in the new structure. As part of the selection process, staff were required to demonstrate they met the relevant criteria and possessed the necessary competencies to carry out roles in the new structure at the appropriate level. The assessment results were one of the factors used to determine which staff were appointed to roles in the new structure. The assessment process therefore needed to be rigorous, fair and transparent. As anticipated, the majority of staff in the 85 posts affected attended the assessment centre.